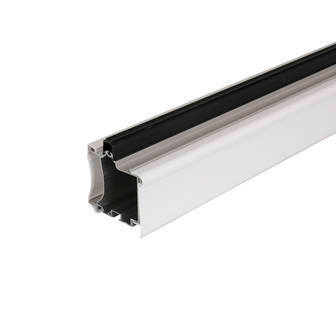 Aluminium eaves beam finished with white powder coating suitable for roof pitches between 2.5° and 15°. Suitable for roof pitches between 2.5° and 15°, this strong aluminium eaves beam is suitable for most applications. The bar has a maintenance free white powder coated finish and comes with end caps and fixing screws.